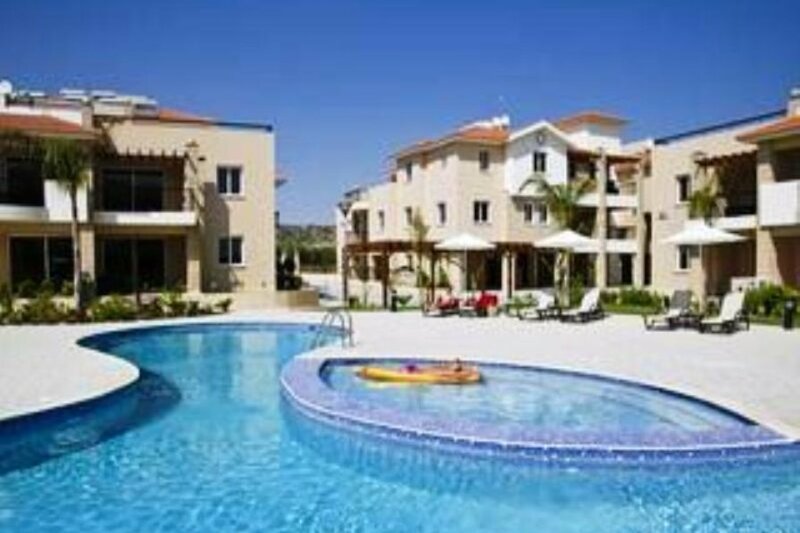 5 mins walk to amenities, 10 mins to Larnaca, set in a tranquil area. Built around a feature pool in a gated complex, this modern and stylish apartment is set in a peaceful location overlooking the countryside yet only a five minute drive from the nearest sandy Blue Flag CTO beach and about a ten minute drive from the cosmopolitan town of Larnaca with its many beaches, restaurants, bars and shops. It is a bright and spacious home-from-home, highly specified, finished exceptionally and very well equipped. Suitable for couples and families who want quality accommodation away from the hustle and bustle of the main resorts, this is also an excellent location for exploring the rest of the island as easy access to the A3 means you can be soaking up the sun on stunning Nissi Beach within half an hour, discovering one of the many sites of cultural interest or having fun at a water park. The cool and contemporary double bedroom has large windows providing excellent views and plenty of light with blackout blinds and a comfortable king size bed to ensure a good night’s sleep. There is a large, furnished patio, leading off from the lounge through large sliding doors. The communal areas provide great spots to simply sit and relax and to enjoy the tranquillity, a private oasis to relax and unwind. But there’s plenty to do in the vicinity, within strolling distance or just a quick drive away. The cosmopolitan town centre of Larnaca is only 15 minutes away and offers many relaxing bars, restaurants, nightclubs and beautiful beaches, including the famous Phinikoudes Beach. There's a marina with delightful promenades lined with palm trees and an array of cafes, bars and restaurants over looking the sparkling Mediterranean Sea. The local village of Pyla is just a few minutes gentle stroll from the apartment and a little further is the beachfront with all of its further amenities and activities: beautiful, sandy beaches; traditional Cypriot tavernas and exquisite international cuisine; supermarkets and a wider selection of shops; car and bicycle hire; water sports and scuba diving; bars and clubs; ten-pin bowling; and much more.The village of Pyla is in a prime location among the inland hills and only five minutes from the beach and coastal nightlife. Pyla itself is a historic village with a slow pace of life. This pretty village has some fascinating monuments, churches, monasteries and points of interest to visit. Given that the village is only small, there is also a surprising selection of places to eat and drink, so the village is well worth a visit both during the day and at night. There are also a few convenience stores to stock up with everything you need for your self catering holiday. The local village of Pyla is just a few minutes gentle stroll from the apartment and a little further is the beachfront with all of its further amenities and activities: beautiful, sandy beaches; traditional Cypriot tavernas and exquisite international cuisine; supermarkets and a wider selection of shops; car and bicycle hire; water sports and scuba diving; bars and clubs; ten-pin bowling; and much more.